The UW Department of Family Medicine and Community Health’s (DFMCH) Madison residency program welcomed Ildi Martonffy, MD, as its new director on March 1, 2017, and thanks outgoing director Kathy Oriel, MD, for her years of dedication and service to the program. Ildi Martonffy, MD, became the Madison residency program director on March 1, 2017. She looks forward to the program’s upcoming expansion and advocating for residents’ needs as a leader. Dr. Martonffy is a 2005 graduate of the DFMCH’s Madison residency program. After graduation, she practiced at the Beloit Area Community Health Center in Beloit, Wisconsin, before returning to the DFMCH in 2010. 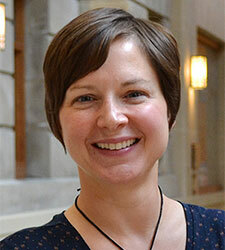 She practices full-scope family medicine at the Access Community Health Center Wingra Family Medical Center, and in July 2014, became the Madison residency program’s associate director. Dr. Martonffy is happy to continue supporting residents during their training, but in her new role also looks forward to advocating for their needs on a leadership level. She’s particularly excited about the Madison program’s upcoming expansion this coming academic year to include two new residents focused on rural health at the Belleville clinic. She also looks forward to leading the program’s future development. “We continue to grow and adjust curriculum to meet the training needs of our residents and the primary care needs of the state of Wisconsin,” she says. Thomas Hahn, MD, and Jensena Carlson, MD, will serve as the program’s co-associate directors. 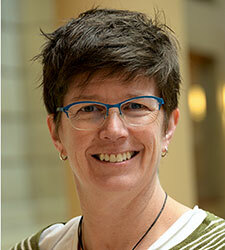 Kathy Oriel, MD, served as the Madison residency program director since 2008. “Like each patient we partner with, I hope those I’ve worked with have felt a bit safer, a bit more understood, and felt authentically respected,” she reflects. Dr. Oriel is a 1995 graduate of the family medicine residency program at St. Paul Ramsey Medical Center in St. Paul, Minnesota. After graduation, she joined the DFMCH as a research fellow, completed a master’s degree in population health, and became a member of the faculty in 1996. Dr. Oriel practiced at the Northeast Family Medical Center and was named director of the Madison residency program in 2008. She credits the decades of commitment by everyone involved with the Madison program— residents, staff, faculty and organizational leaders—as essential contributors to its success. “Any contributions we’ve made with our patients, with our learners, or with our communities are the work of too many people to name,” she says, noting that those collaborations remain strong today. She is especially grateful to the DFMCH residents and staff who, over the years, have worked tirelessly behind the scenes to support, lead and advocate for the program. Dr. Oriel believes that passion is what connects everyone in the department. That passion manifests as the trust learners place in the physicians who teach them, as the staff who step up to new responsibilities, or as the faculty who serve locally, nationally and internationally.